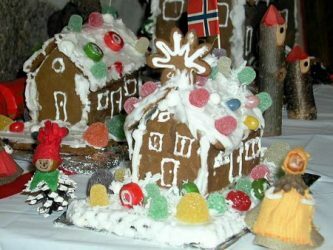 Gingerbread house pictures can give you ideas on how to make your own gingerbread houses unique and creative. 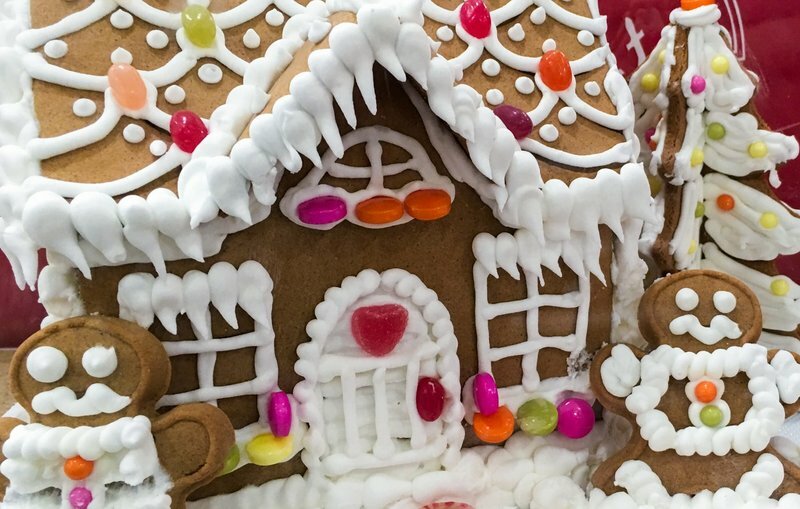 This collection of gingerbread house pictures should get you started. 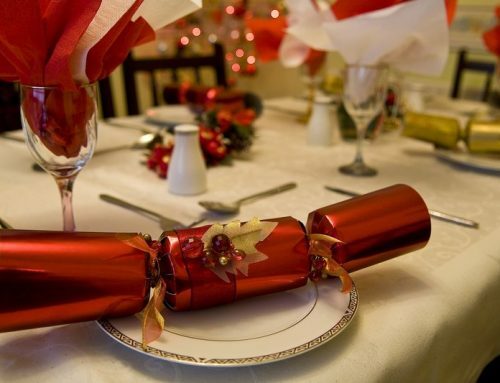 The look of your gingerbread house will depend on a number of things–how artistic you are, who helps make the house, and how much fun you make the process. Don’t make the mistake of being a perfectionist. Just have fun. 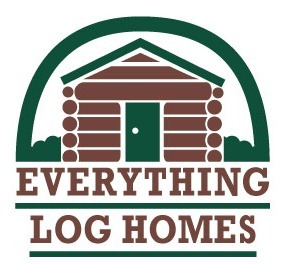 After all, this log cabin tradition is more about having fun than creating a masterpiece. 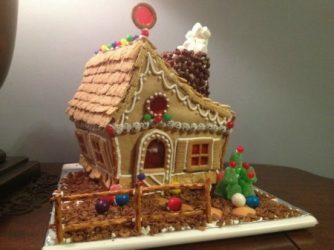 Enjoy my collection of gingerbread house pictures! This is what we think of when we talk about gingerbread houses. 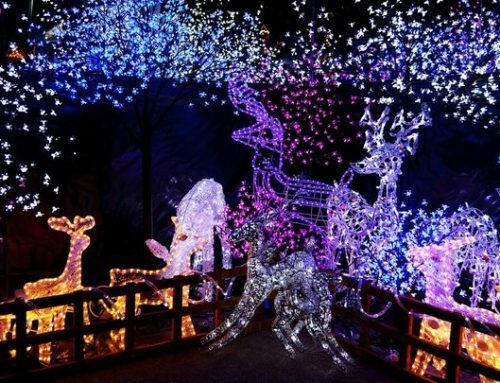 It is fairly simple and decorated with candy. 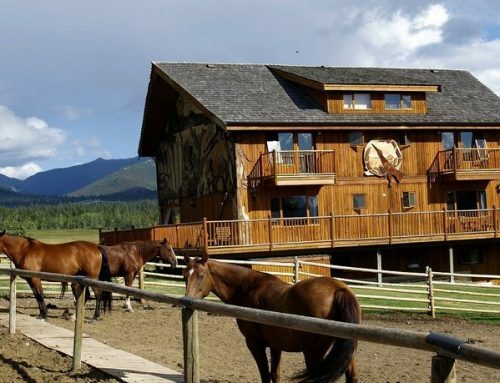 Note the licorice on the roof for a metal roof effect. 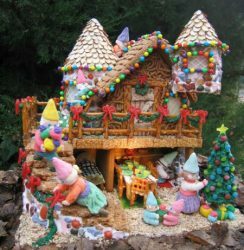 This gingerbread house is whimsical. It is painted with colorful royal icing and has lots of candy canes and little candies. 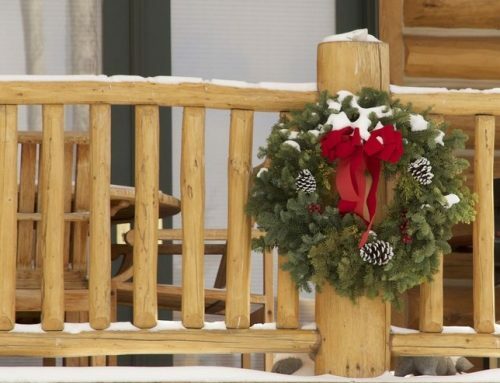 To make it even more magical, the artist even added little elves and a wreath on the dormer of the house. 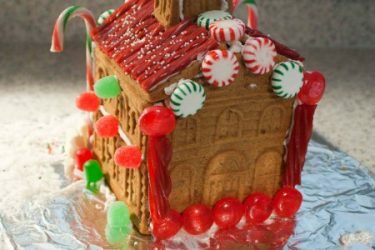 Gingerbread House – Details are Important! 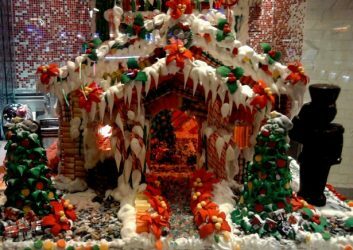 This elaborate gingerbread house has poinsettias, holly, trees decorated with Hershey’s candies and even a saluting tin soldier. Very artistic, this house took some skill with the pastry tube! 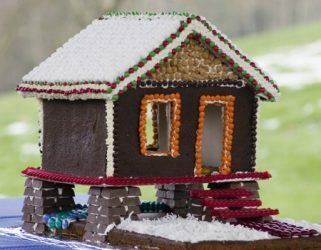 Built on stilts, this gingerbread house sits on the water. 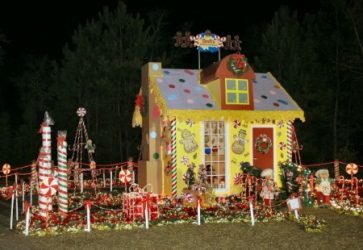 Notice the blue and green candies under the house, the white roof decorated with red and green “lights” and the look of a seaside shack. 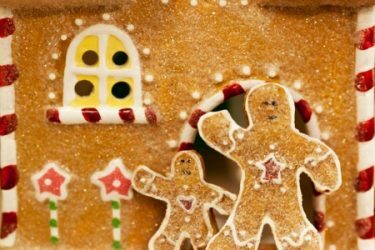 Doesn’t this gingerbread house remind you of Hansel and Gretel? I love the storybook appearance. The roof, with its curves would be challenging to make. Note the green jelly mint candy evergreen tree at the corner of the house and the pretzel fence. 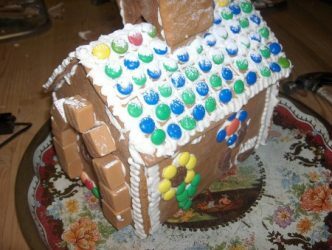 An example of a very simple gingerbread house, this one could be decorated by anyone, including small children. M & Ms make the tiles on the white royal icing roof. Caramels surround the front door. These gingerbread houses were made by kids. Candy and a simple design make it fun for kids to get into the decorating. Even if you let kids do all the decorating, an adult will need to make the icing and supervise the process, to make sure it is a success. If you think ahead, you can make small cookies, like these gingerbread boys, to paste (with icing) onto your gingerbread house. Cute little cookies add to the interest of your design. 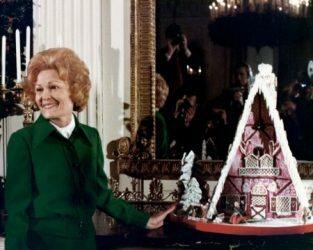 The very first White House gingerbread house was made in 1972. Here you see Pat Nixon, former first lady standing beside it. A White House gingerbread house has been a Christmas tradition ever since this gingerbread house was made. 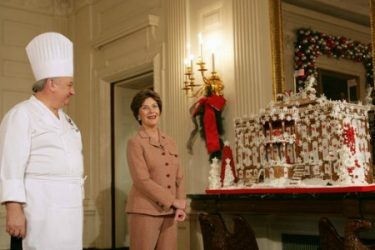 Mrs. Laura Bush, former first lady, standing beside the annual White House gingerbread house in 2010. Standing beside her is the White House chef who made this masterpiece.